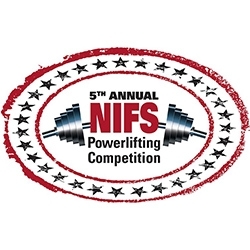 Indianapolis, IN, September 25, 2018 --(PR.com)-- The National Institute for Fitness and Sport (NIFS) will be hosting its 5th annual, non-sanctioned, Powerlifting Competition on Saturday, November 10, 2018. The competition will be comprised of 3 different lifts including Squat, Bench and Dead Lift. Competition begins promptly at 9:00 a.m. and is limited to 50 participants. Competitors will be divided by weight classes for both men and women. This is a great event for the first time competitor and challenging enough for the seasoned lifter. Online registration with early bird rates open on Sept. 24, 2018 at nifs.org/powerlifting. For more information on this event visit nifs.org/powerlifting or contact Tony Maloney at 317-274-3432, or by email at tmaloney@nifs.org. NIFS media contact, Trudy Coler (317) 274-3432, email tcoler@nifs.org. The National Institute for Fitness and Sport is a non-profit organization committed to enhancing human health, physical fitness and athletic performance through research, education and service.